This project and doesn’t really have much of a purpose as most things are already dumped but as there wasn’t an easy option for dumping a Lynx cart I thought id throw something together. Like most of my projects it uses the Arduino MEGA 2560. 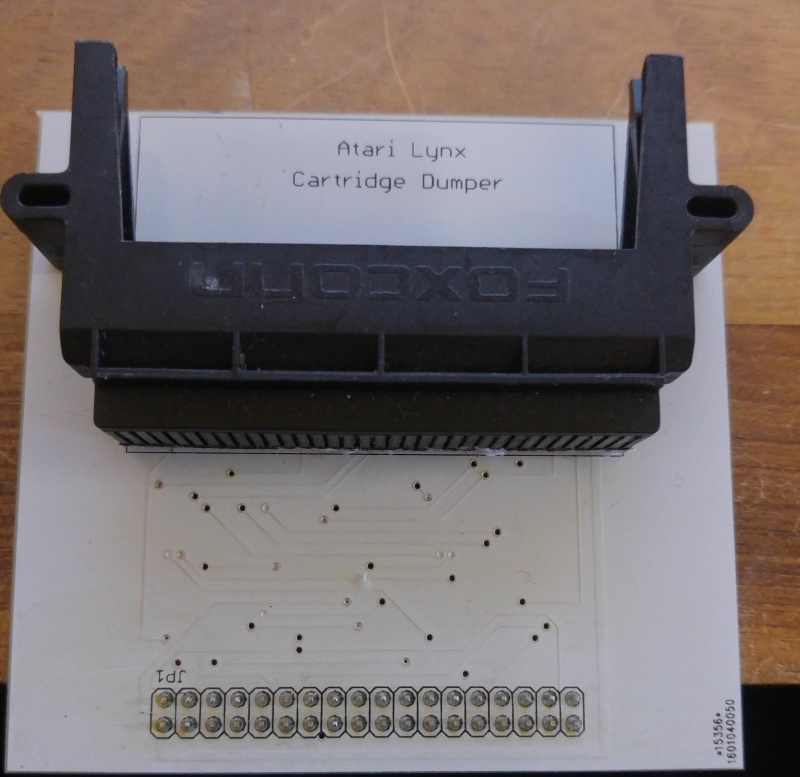 I got hold of a scrap Lynx of eBay and harvested the cartridge connector from and quickly threw together a PCB. The end result is pretty rough and if there was any need I would probably revisit this and make it a little better. I made some Windows software too. The Arduino software has the job of detecting how big the cartridge being dumped is then sends all the data to the PC. The PC software saves the binary file and can also detect any anomalies. For example, the game Block Out that I have actually skips an address pin but the one higher is connected. This results in garbage data being sent if it is not dealt with properly. I’m not sure if all Block Out carts have this or what but its the only one i’ve found that has it. 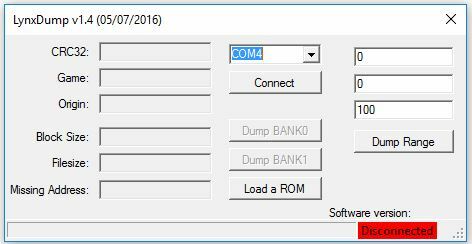 The PC software can also save the dumped files CRC32 to a file so I can easily compare my dumps against ones that are already out there. Im not expecting to find anything wrong or different versions but you never know.